The Chardonnay imparts a depth and complexity for the overall balance while the Chenin Blanc lends citrus flavors and hints of honey for a creamy texture. Colombard's higher acidity provides structure and length as well as a pleasant minerality which is supplemented by the Ugni Blanc's fruit profile. 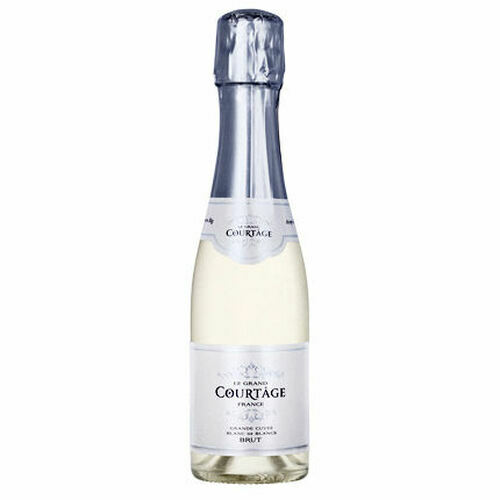 Le Grande Courtage is the perfect balance of fruit, acidity & sweetness. It is a crisp, smooth and less yeasty sparkler which is versatile and very cuisine-friendly. A light bouquet with aromas of Granny Smith apples, honeysuckle, strawberry and toasted brioche. Perfect balance of fruit, acidity, and sweetness. Lingers nicely with a bit of Meyer lemon, honeydew and continuing apple finish. Great length, clean with a pleasant hint of yeast on the palate. 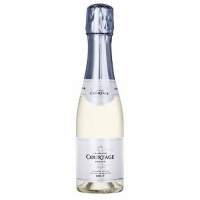 An elegant sparkling wine with balanced acidity, fine bubbles and a light, crisp, refreshing finish.